In some big yet not surprising news today Top Gear USA host and two-time Formula Drift champ Tanner Foust has announced a “temporary” retirement from drifting. Many are speculating as to why he is bowing out for 2011 but personally I think the most logical answer is the best one. If you follow Tanner at all you know that he has a BIG 2011 ahead of him. The man is going to take on a full season of European Rally Cross, compete in Rally America, X Games Rally, and presumably come back for another season of hosting Top Gear USA. If he tried to tack on a full season of Formula Drift to that then he would probably race himself to death! Tanner will be jumping into the Papadakis Racing/Rockstar Energy Drink/Scion Racing tC one last time for the upcoming Formula Drift exhibition in Abu Dhabi but after that its a year long vacation from drifting for ol’ “Foxy” Foust. So you may be asking who will take over for Tanner Foust now that Papadakis Racing has an open seat? We’ll have more on that in the post right after this one. With Formula D out of the picture for Foust in 2011 you can expect to see him much more competitive in his other disciplines. I can’t wait to see how he does in the European Rally Cross series this year. We wish Tanner the best and we will miss him in Formula Drift this year! 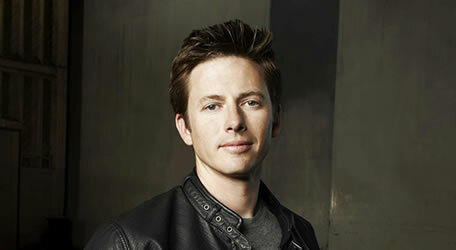 Long Beach, Calif. – February 10th, 2011 – Formula DRIFT has announced that 2-time Formula DRIFT champion, Tanner Foust will temporarily step away from the sport of drifting. In conjunction, Papadakis Racing and Team Need For Speed have announced the signing of the 2010 Formula DRIFT Rookie of the Year, Fredric Aasbo. Foust has announced his temporary retirement from drifting due to a demanding 2011 schedule of European Rally events, X-Games and television responsibilities. The 2-time Formula DRIFT champion and Tires.com Triple Crown bonus winner will be competing one last time in the Rockstar / Papadakis Racing Scion tC on February 25, 2010 during the Formula DRIFT UAE Invitational competition. “I owe a lot to Formula DRIFT and Stephan Papadakis. This sport, Stephan and his team have been, and will remain, an integral part of my motorsports life,” said Tanner Foust, from his home in San Juan Capistrano. “This was a hard choice to make, but with my schedule looking even busier than last year’s I will not be able to fully commit to the 2011 Formula DRIFT season. However, I am looking forward to competing in the Rockstar Scion tC for one last time in Abu Dhabi this month.” With an open seat, team owner, Stephan Papadakis has enlisted the highly touted and talented driver, Fredric Aasbo. In addition, a newly created partnership with Team Need For Speed has solidified the alliance. Aasbo will be competing in the brand new Need for 2011 Scion tC this season with the competition debut during Round 1: Streets of Long Beach on April 8-9, 2011.